I didn’t manage to tick much off the 27 List in February, other than making this colourful lolly vodka, but I did fit in some travel, and some research. Macaron tasting research. One of my tasks is to make French macarons, I have thought about attempting these for a while, but as they are notoriously difficult to get right; take quite a lot of time and have a somewhat pricey ingredient list; I have been a little intimidated. 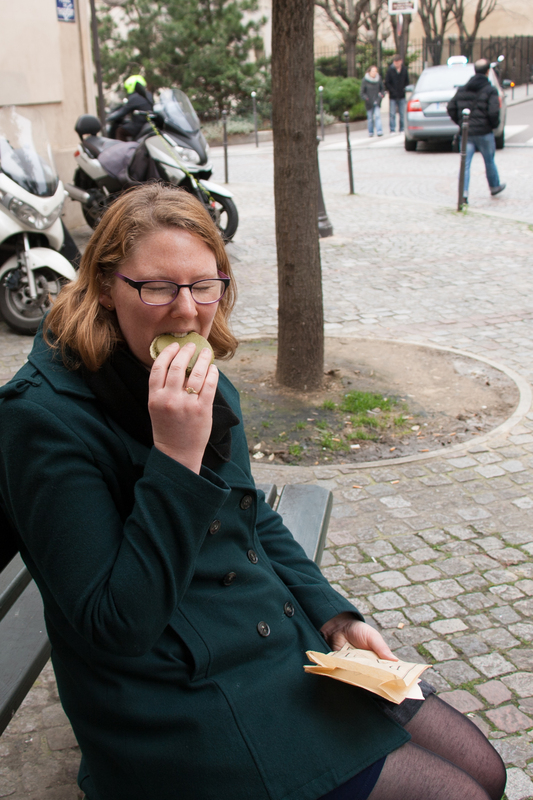 So, on a recent trip to Paris with my sister, I knew I would have to fit in some “blog research”. Baking research is probably the best kind of research. Anyone out there want to be a chocolate taster? Food critic? Nutella recipe developer? Hello…. Dream job! If I am going to put a lot of time and money into getting these right, I need to know what perfection tastes like. 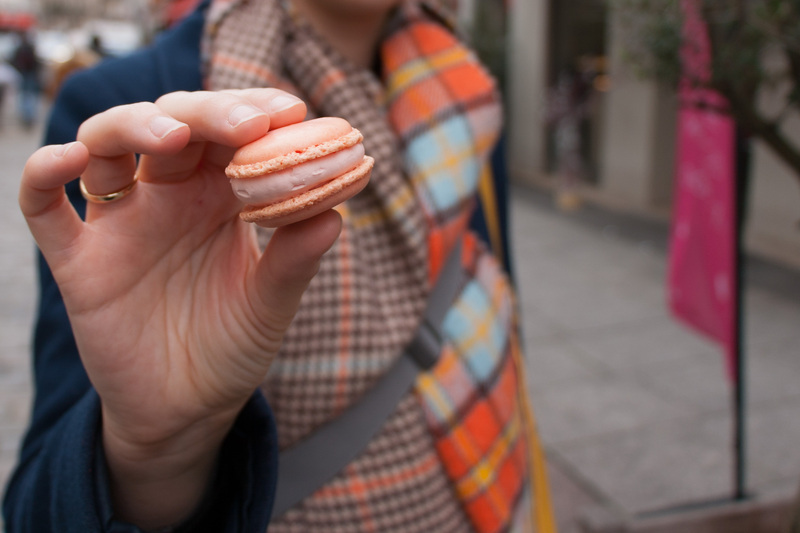 We started off with some giant macarons from Paul’s bakery. We have this chain in London too, but I’m not sure I have ever been. Anyway we were hungry so opted for super size. 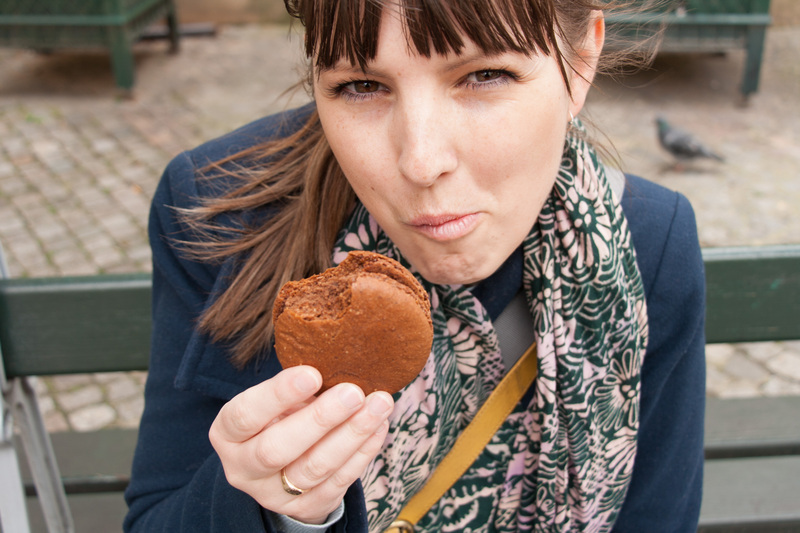 You have to close your eyes when eating a giant luxurious biscuit. We had chocolate and pistachio flavours, both were nice but they lost the delicacy that makes a macaroon so indulgent and felt a bit heavy. We snacked on these after a wander around the lovely Picasso Museum. Next stop; the Pompidou Centre where we ordered macaroos and juice at the gallery cafe. They were standard quality and over priced, but they were still demolished before I remembered to snap a pic. 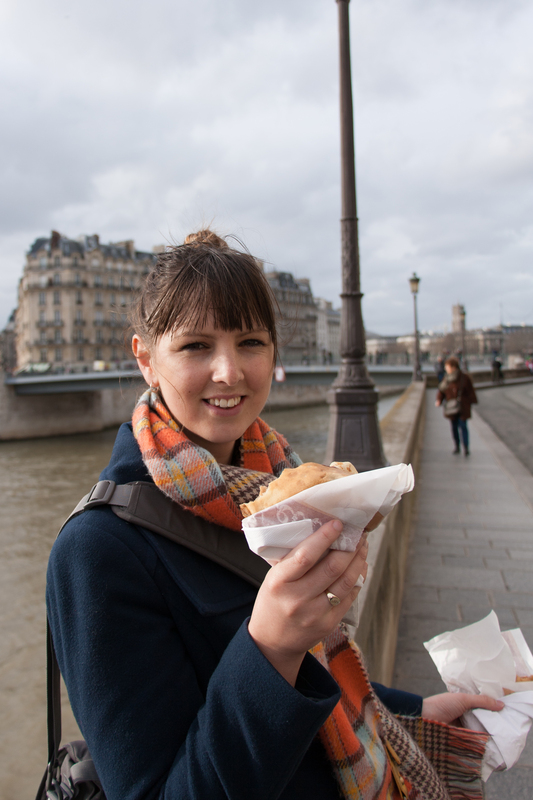 Oh, and then we had some crepes by Notre Dame. Mine is Nutella and banana……. heaven. And then I found the ultimate macaron. Rose flavour, it was delicate, sweet, creamy and tasted like the best kind of turkish delight I have ever had. Oh, and would you look at the colour, beautiful. I found the perfect macaron. But that didn’t stop me buying a box to take back on the Eurostar…. Just in case.